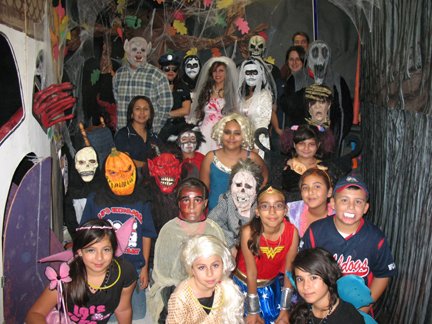 John & Olive Hinojosa Elementary held their annual Haunted House on Thursday, October 28, 2010. Students and staff were entertained by all the scenes which included: La Llorona, the Spider's Lair, the Haunted Castle, the Bates Motel, the funeral home, the cemetary scene, and a section where students were able to wear 3-D glasses. Everyone had a SPOOKTACULAR time!! !